Giles Scott completed the final day of the 2019 Finn Australian Championship with two more race wins. Scott won the two final championshipl races at Black Rock YC to finish 14 points clear of Holland’s Nicholas Heiner, with Aussie Jake Lilly taking the third podium spot and the Australian National title. Scott took the first race ahead of Pieter Postma of Holland with Lilley in third and Henry Wetherell of Britian in fourth. In the final race (R10) Scott finished ahead of Wright with Wetherell in third. Fourth was Heiner, and then Lilley in fifth to grab third overall and the Australian title ahead of Oliver Twedell. So ends a successful trip down under for the British Finn sailors. 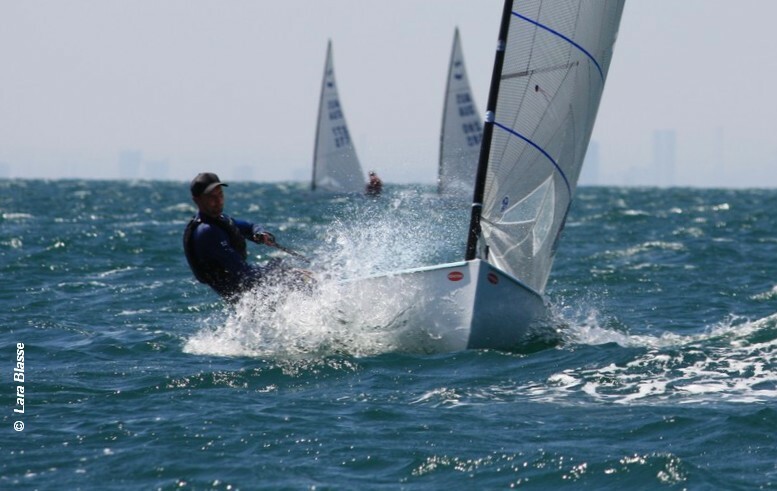 Scott was back to form with six race wins in the Australian Championship, after Heiner won the Melbourne Olympic classes regatta with Scott in fourth place, and the 2018 Enoshima Test event with Scott in second place. Wetherell took the U23 prize and Wright was first Master.